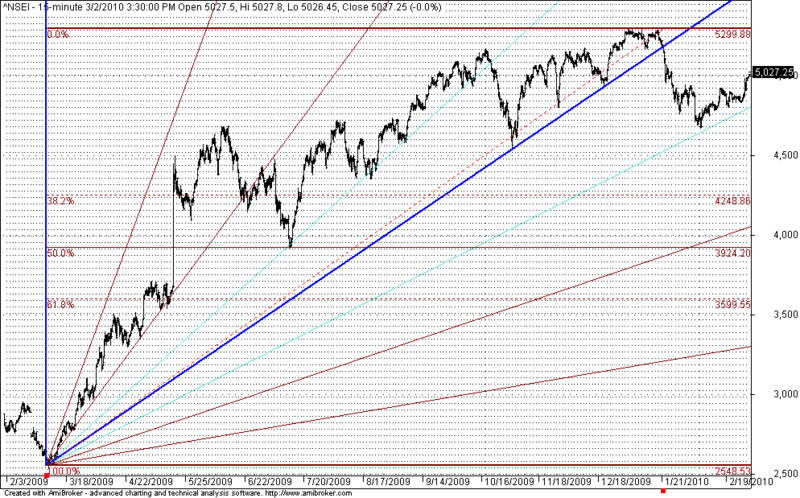 Shorter term GANN Shows resistance near 5040-5050 region. 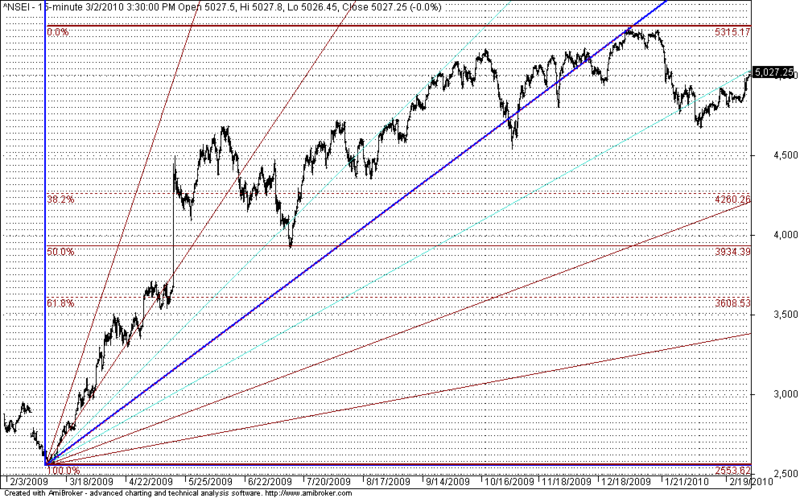 And when looking into the long term GANN Charts I’ve had drawn the charts with two possibilities. The first chart is by drawing from the lows of march 2009 to the major supports which shows that the long term supports are near 4800. And the second long term charts are drawn between march 2009 lows to dec 2009 high’s which indicates long term resistance near 5050(check on the below charts- just kissing the resistance line increases w.r.t time) and the long term GANN Supports for the second possibilites lies near 4260 zone. 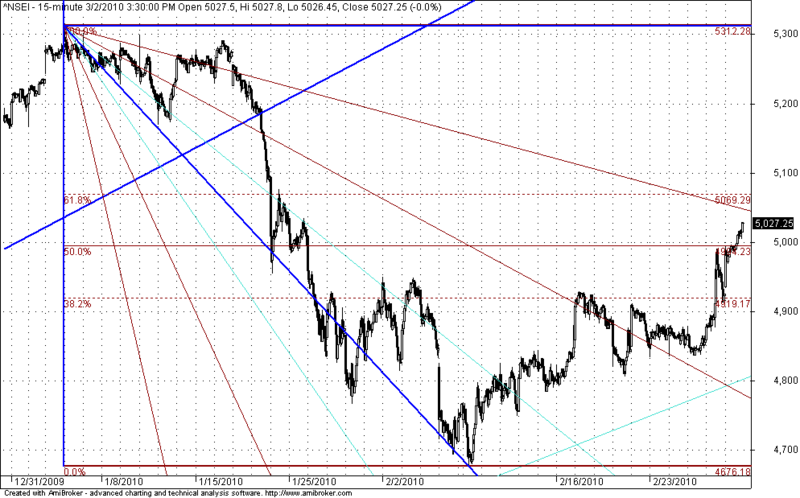 But both the charts indicate a target zone of 4260-4300 if nifty breaks 4800 on EOD basis. EXCELLENT WORK. I M TOO THE FOLLOWER OF THE CHART FIRST LIKE U. CAN U DELIVER ME THE GOOD TIPS OF A GROUP AS WELL AS B GROUP TO MY ABOVE EMAIL ADDRESS ? ONCE AGAIN I APPRECIATE YOUR WORK ON BEHALF OF THE INVESTING COMMUNITY.